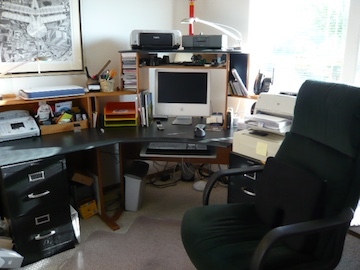 My old office arrangement, even when I had cleared most of the clutter still looked, well . . . I had recently finished working with a couple who worked from home. She had build a rigid standing desk and loved it. He was building one for himself. They were both enthusiastic for them. They had many positive things to say about them. I became curious. I saw a Kickstarter campaign to build a reasonably price standing desk that could be both – a sitting desk and a standing one. 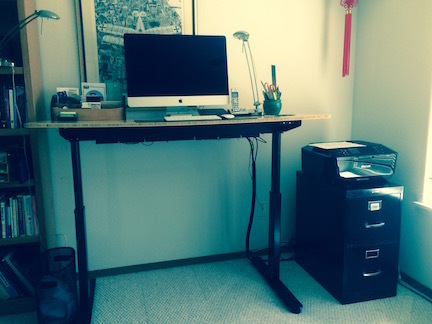 The campaign was very convincing – lots of studies extolling the benefits of a standing desk. What began as a curiosity has provoked a great deal of studious inquiry. Results? Sitting six hours a day ups he death rate by 20% for men, 40% for women! That’s scary while some other research says otherwise, but the consensus indicates we should be standing/walking at least 2 hours a day and then work up to 4. 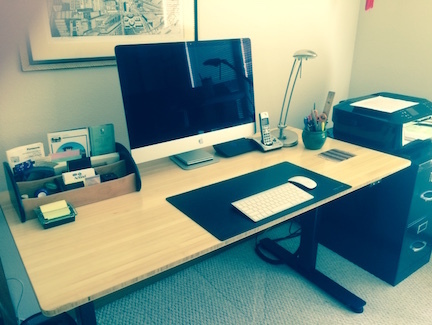 OK – I got into the Kickstarter campaign and got my desk a couple of months ago. I had to rearrange my office. Pounds and pounds of files into the trash, Scan others. 4 file drawers to 2. No, I don’t stand all the time, but I’m standing more and more and sitting less and less. I find not only has the simplification made me more focused, but much more productive. I love the top – it’s bamboo, my favorite building material. You can jerry-rig a standing desk for yourself and try it. I like mine because I can take it up or down, and stop it any place that suites me or my arms or my chair (all at the touch of a button.) A programmer friend just bought himself one that uses counterweights to go up or down. He has a bit of a weight problem, so this is going to be good for him as well! And a major client I just worked with we designed his office so not only could he have a standing desk, but combine it with a treadmill! If you do try one, or have one, what about sharing? 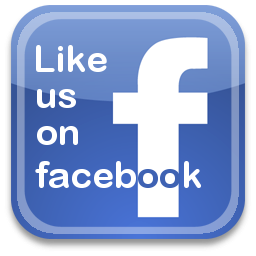 Post a comment. And I’ll stand for it! Oh – Happy holidays too! Posted in Links, News, Tips and tagged Business, declutter, Energy, Environment, Health, Productivity, simplify, Stress reduction.